New Ericsson study explores how service providers can generate additional IoT revenue. While revenue growth is the key driver for telecom service providers entering the Internet of Things (IoT) market, new research from Ericsson has revealed that telecoms are pursuing multiple paths to achieve revenue growth though 70 per cent of those surveyed have no well-defined strategy. 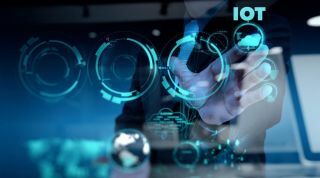 The company's new study, 'Exploring IoT strategies' offers unique insights on the IoT value chain with perspectives from 20 of the leading global telecom service providers as they look to position themselves in the IoT market. The study also explored service providers' roles and sub-roles in the IoT value chain. Of the service providers surveyed, many believe that cellular IoT and new 5G technologies have the potential to be a real game changer in IoT. Ericsson's survey identified four service provider role categories: Network Provider, Connectivity Provider, Service Enable and Service Creator. The Network provider and connectivity provider roles were viewed by the participants as foundational roles which will help drive their IoT revenues though 80 per cent of service providers are also planning to create value beyond connectivity. By providing differentiating services through sub-roles within the four roles or by offering end-to-end solutions as service enablers or service creators, service providers see a path to create additional value.